If you are looking for the Country Clothesline Holiday Fabric GIVEAWAY please click here. I have finished my tutorial that I promised a week or two ago. It took me a bit longer than I thought. I came up with this idea when I was working at the Fire Hall in the spring. There were long periods where I had nothing to do so I thought up quilt ideas. 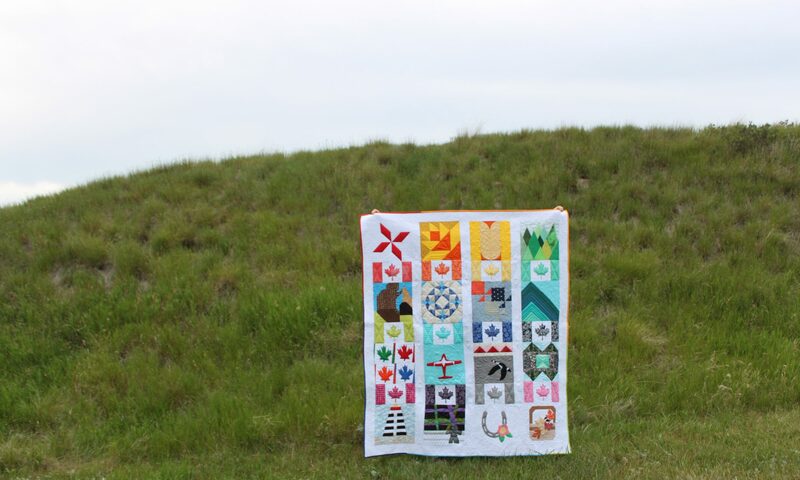 I pitched this idea to a Canadian quilting magazine in the summer but never heard back. I started sewing the English Paper Pieced ornaments in the summer in case they did want to publish my idea. Then I was busy with having a baby and I didn’t follow up with the magazine. Previous PostPrevious New Blog Sponsor and a GIVEAWAY!